1. The first time you can try the free trial for 3 days. After that, $ 9.99 will be automatically deducted from your account if you will not stop the subscription before the end of the free trial. The duration of the auto-renewable subscription is one month. You can stop the subscription at any moment. 2. The first time you can try the free trial for 3 days. After that, $ 19.99 will be automatically deducted from your account if you will not stop the subscription before the end of the free trial. The duration of the auto-renewable subscription is 3 months. You can stop the subscription at any moment. • You can manage your subscription and turn it off by going to your Account Settings after purchase. In this version we fixed all known issues and improved the stability of the application. 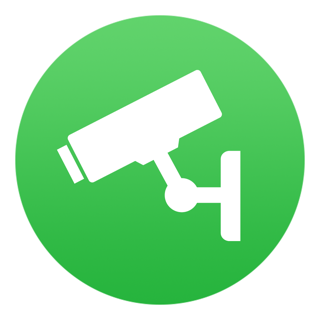 Enjoy viewing the best cameras and videos from all over the world. Leave your feedback and help us improve our application! I was frustrated that this app didn’t work for me since four updates ago. I’m happy to report that the team finally nailed the problem with the crashing. Not only did they fix it, but they stayed in touch with me during their problem-solving process. They kept me informed as to how they were progressing; they asked me questions as to the nature of the malfunctions, and generally assured me that they would not give up til they found the problem. This is by far the best developer involvement I’ve ever experienced. I’m glad to have use of the app again. And with all the cameras, views, and features, in my book, they are again the very best “live camera” app out there. Thanks team! Definitely layout, favorites, labeling, etc. work well. How it presented was “fun” and “enticing”. My compliments. The feeds that are interesting and have sound are a win. I already found some of the feeds without sound on the net elsewhere. Presenting a sense of time of day for world live streaming would be a help when looking at close to black or oddly monochromatic pictures of “beach” or other low to no light scenes in the country. Impatient and easily frustrated to the point of getting rid of the app part is not getting “Sorry, the webcam is offline now ...” for a busted camera. Hit that a few times with “Please, wait for HD quality”. Free trial status, purchase and what to do next is a mess. 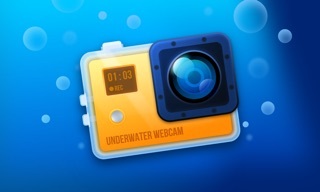 The app is called “Webcam World View” and many places it is called “CAM+”. Don’t know from the language or view when my free trial ends. Googled the app to try and understand this limited time offer that presents no price. Bumbled around to purchase this 80% off of something $25 instead of $9.99 per month. The purchased failed. I may go a month and cancel. I may cancel tomorrow. The $10 a month is fairly steep price point compared to my other subscriptions. You’re absolutely right, the name of our project is “Webcam World View”, but “CAM+” is the name of our subscription. You can manage your subscription (including free trial period) in your Account Settings in the App Store. If you have more suggestions or wishes, contact us, please.